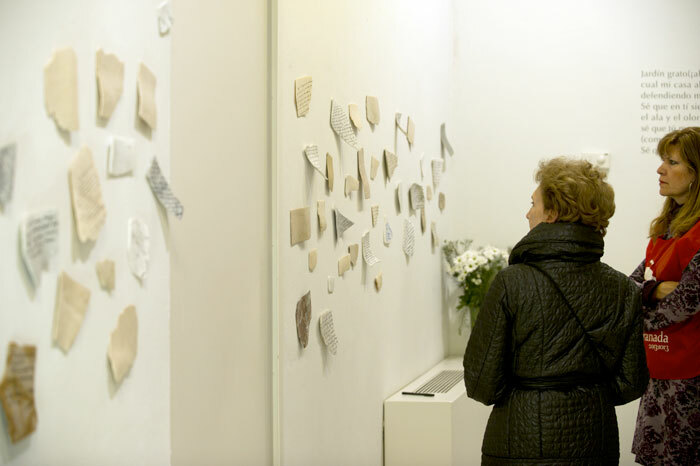 Dates: December 9 (18.30 h) - Permanent until Sunday December 18. 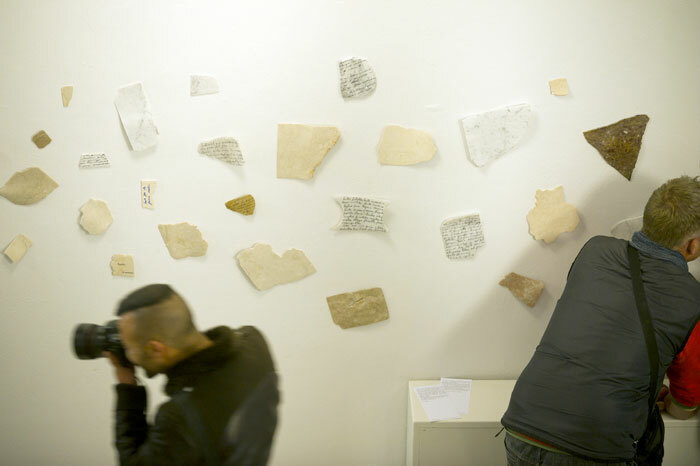 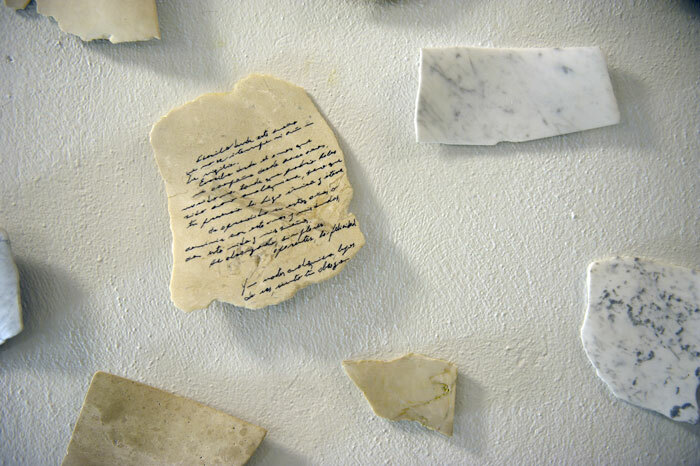 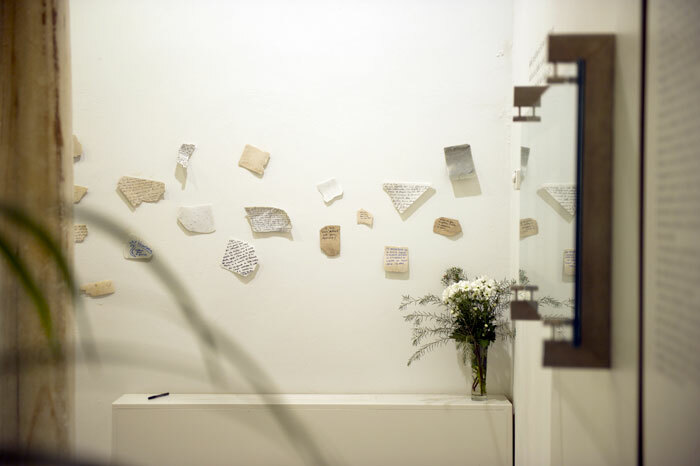 The proposal involves attaching (temporarily) small, fine and delicate shards of different types of marble with handwriting on them, representing torn scraps of paper, to a wall. 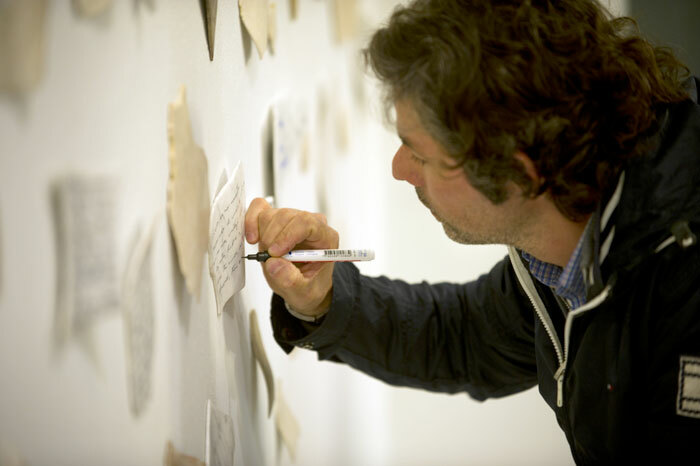 Some are billets doux, and some are left blank for visitors to write something on in witness of their participation. 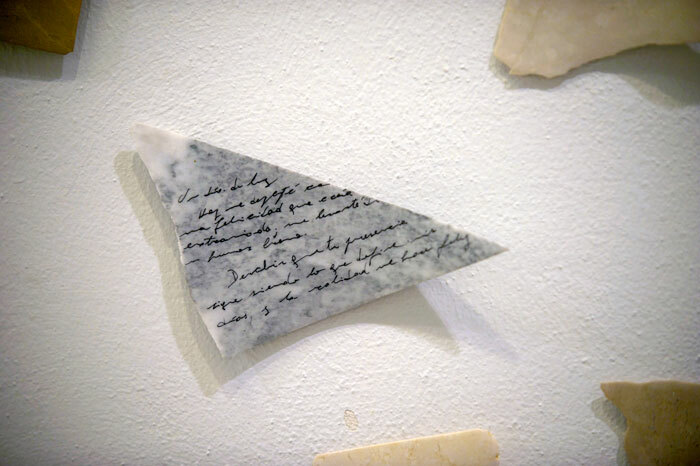 Taking part and sharing, spectator becoming protagonist, using marble and words, showing their feelings. 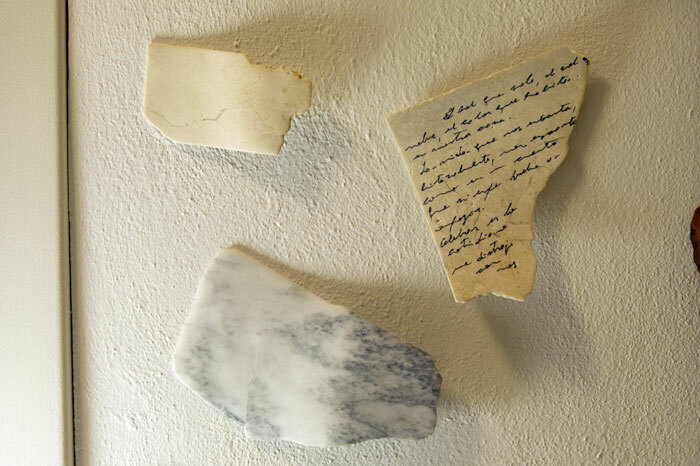 Stones and words, something so old can always be something new. 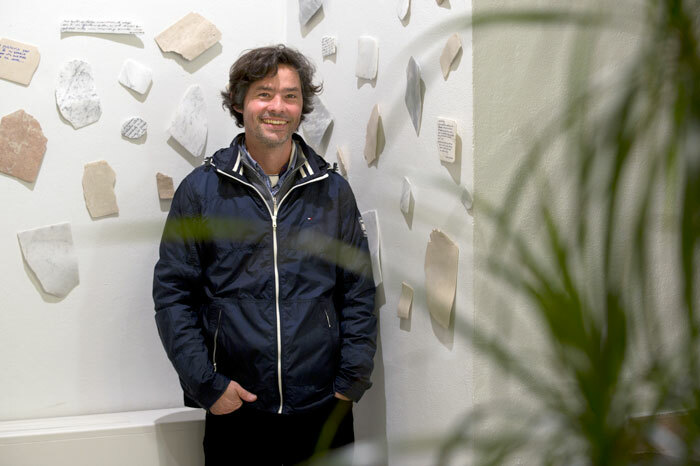 The sculptor, an Argentine living in Mar del Plata, comments: “Granada, a city which lends itself to secrets and love, contemplation and fantasy; a city good for dreaming and daydreaming”.